Our product range includes a wide range of 300 a amp 415 v volt kit kat fuse kit kat fuse unit CENTO BRAND IN INDIA, 1.1 kv transformer bushings porcelain 1.1 kv transformer bushings insulators, Kit Kat Fuse, 11 kv Pin Insulators, L.t. Pin Insulators and 22 Kv Post Insulators. KSC-WORLDhaving failing load of 11. 5 kn and 16 kn respectively. These insulators are made of good commercial grade wet process porcelain. Altough l. T. Insulators are not susceptible to electrical failure, nevertheless ensures effective quality control particularly for acheving required mechanical strength and avoiding sharp bends or uneven surfaces. KSC-WORLD 1.1 KV Transformer Bushings,Porcelain Insulator Manufacturers,Transformer Bushings Manufacturer,1.1 KVTransformer Bushings Supplier,Porcelain Insulator Exporters We present to our clients 1.1 KV transformer bushings. Our company has pioneered in manufacturing extra high creepage bushings for areas with very high pollution. Incorporated with modern features as per industrial standards and requirements, our 1.1 KV bushings are available in different models and specifications. Ksc-world kit kat fuse,kit kat fuse,kit kat fuse,kit kat fuse unit,kit kat fuse unit,kit kat,fuse unit,fuse component,fuse kit kat,cut out fuse,cut out fuse unit,having failing load of 11. 5 kn and 16 kn respectively. These insulators are made of good commercial grade wet process porcelain. Altough l. T. Insulators are not susceptible to electrical failure, nevertheless ensures effective quality control particularly for acheving required mechanical strength and avoiding sharp bends or uneven surfaces. Leveraging on our diligent workforce, we offer high grade BusBar Insulators. The product provides high electric insulation. It is suitable for both uses, indoor as well as outdoor. Salient features of the product include dimensional accuracy, efficient performance in complex weather conditions and robustness. KSC-WORLD transformer bushings represent a combination of competent design with skilled manufacturing process. Inherent porcelain shells strength and electrical properties of KSC-WORLD transformer bushings fulfil the requirement of all international standards. 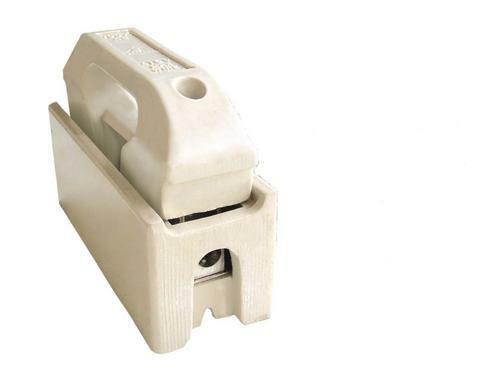 The porcelain shells for cable box and transformer bushings are a part of KSC-WORLD product range for service voltage upto 36 kV with current requirements varying from 250 to 3150 amps conforming to relevant specifications. Dimensions of porcelain parts of insulators and bushings are based on voltages and ampere ratings of transformer. KSC-WORLD having failing load of 11. 5 kn and 16 kn respectively. These insulators are made of good commercial grade wet process porcelain. Altough l. T. Insulators are not susceptible to electrical failure, nevertheless ensures effective quality control particularly for acheving required mechanical strength and avoiding sharp bends or uneven surfaces. KSC-WORLD These insulators are made of good commercial grade wet process porcelain. Altough l. T. Insulators are not susceptible to electrical failure, nevertheless ensures effective quality control particularly for acheving required mechanical strength and avoiding sharp bends or uneven surfaces. kabir sales corporation.KABIR SALES CORPORATION. KS-world We facilitate our customers with Industrial Lightening Restorers . The lightening restorers are widely used on the Electric Power Systems, which provide complete protection to these systems from any damages caused by lightening. Also, by us ensure long lasting service and reliable results. used for holding electric wires. ksc-world we manufacturers & exportr a wilde range of precision engineered overhead line accessories & insulators these are hugely demanded in electrical industry for their efficient conductive attridutes. Based on our clints. We can rang of these accessories and insulators with in committed time frame. KSC-WORLD REEL INSULATORS,REEL TYPE INSULATORS,REEL INSULATORS MANUFATURERS,CERAMICS REEL INSULATORS,PORCELAIN REEL INSULATORS,LOW TENSION INSULATORS,L.T. INSULATORS,CERAMICS REEL INSULATORS MANUFATURERS,PORCELAIN REEL INSULATORS MANUFATURERS,MANUFATURERS,KSC-WORLD We offer very highly durable porcelain based reel insulators used for BPL Kits. These are manufactured in potteries and quality is checked at various steps of manufacturing.